Had a CheckMe! service performed? Click here to take a quick survey and let us know what you think about the program and share any question or comments with us. 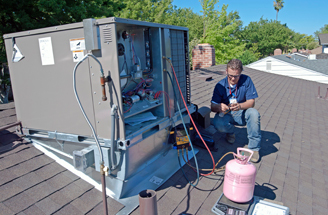 The program also offers incentives for establishing a qualifying maintenance agreement. Next steps: Contact Proctor Engineering by calling 1-877-422-2432 to learn more about the program or find a participating HVAC contractor. For information about other PG&E programs click here.